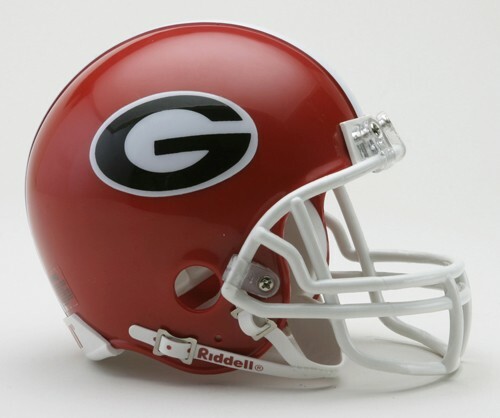 Just half the size of the on-field Riddell helmets, but full of detail, each Georgia Bulldogs mini helmet is made to Riddell specifications. 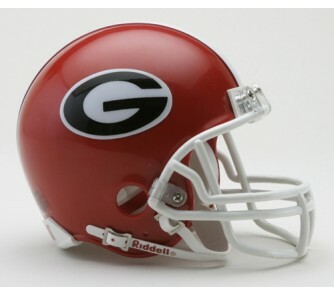 From the ABS plastic shell to the face mask, padding and chin strap, the minis are modeled after the game equipment. Even the colors and decals are right on the money. All beautifully boxed, Riddell's mini football helmets are winning raves from the sidelines.